The gala premiere of “1916: The Irish Rebellion,” a three-part documentary film series produced by the University of Notre Dame’s Keough-Naughton Institute for Irish Studies, will be held March 3 (Thursday) in Notre Dame’s DeBartolo Performing Arts Center. It is an invitation-only event. Narrated by Liam Neeson, who will attend the gala premiere, “1916: The Irish Rebellion” was conceived, written and co-produced by Briona Nic Dhiarmada, Thomas J. & Kathleen M. O’Donnell Chair of Irish Language and Literature. Christopher Fox, professor of English and director of the Keough-Naughton Institute, is executive producer. 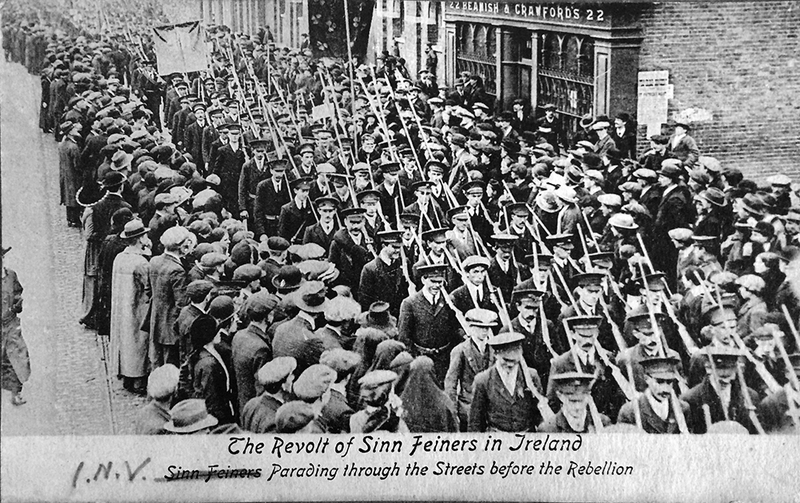 The first documentary series to give a comprehensive account of the events of the 1916 Rising in Dublin, the film has been made a centerpiece of the Irish government’s global centenary commemoration of the Easter Rising, and will air on 255 U.S. public television stations as well as stations in Australia, Canada, Finland, Spain, Slovenia and several countries in South America. On March 16 in Dublin, the Irish government will host the Ireland 2016 Diaspora gala of “1916,” live-streaming the event to 24 Irish embassies and consulates around the world as Ireland reaches out to the 70 million people of the Irish diaspora. Nic Dhiarmada said that the aim of the documentary is “to present this pivotal historical event to a broad audience in an accessible manner that is both serious and informative but also highly visual and evocative. The Rising is not only an event with historical and current ramifications, it is also a story of real men and women, people of flesh and blood who participated or witnessed epoch-making events, with many leaving firsthand accounts of their experiences. This is a specific story but one with universal echoes. It is a story of heroism and of cowardice, of moral courage and of venality, of mercy and of cruelty, of victory and defeat. Check your local public television station’s program listings for air dates. 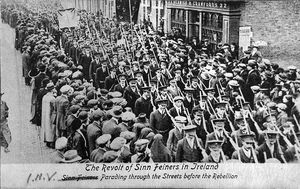 A nationwide list of stations airing the documentary will be available on the “1916: The Irish Rebellion” website beginning March 1 (Tuesday). “1916: The Irish Rebellion” will air in Michiana on WNIT at 9 p.m. Thursdays (April 7, 14 and 21) and at 5:30 p.m. Sundays (April 10, 17 and 24). Originally published by Michael O. Garvey at news.nd.edu on February 22, 2016.